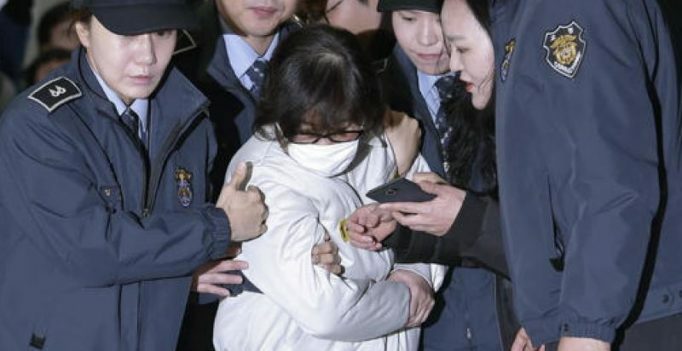 Seoul: South Korean prosecutors say the daughter of the confidante of disgraced President Park Geun-hye has been arrested in Denmark and authorities are working to get her returned home in connection with a huge corruption scandal. Park was impeached in December, by lawmakers amid public fury over prosecutors’ allegations that the president conspired to allow her longtime friend, Choi Soon-sil, to extort companies and control the government. Denmark police on Monday arrested Choi’s daughter, Chung Yoo-ra, on charges of staying there illegally. South Korea had asked Interpol to search for Chung because she didn’t return home to answer questions about the scandal. South Korea’s Yonhap news agency reports that Chung allegedly took advantage of her mother’s relationship with Park to get unwarranted favors from Seoul’s Ewha Woman’s University.